Ed Dean is a leading radio and news media personality including hosting the #1 statewide radio talk show in Florida. From flagship radio station WBOB in Jacksonville, where his show runs from 6am-9am on weekdays, Ed’s show is heard throughout Florida on other stations. 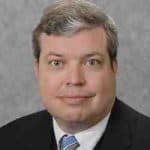 In addition to his radio show, Ed has served as a senior editor for Sunshine State News, as a senior media analyst for the Taxpayers Protection Alliance and as media advisory board member for the American Media Institute. Ed has appeared on the national TV airwaves as a financial and political commentator and appearing on Fox Business News and CNN Headline News. 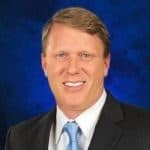 He has also been a news contributor for Fox News 35 in Orlando, Florida. In the 1990s and 2000s, Ed was a political and economics reporter for newspapers and talk radio stations across Florida. In the mid 1990s and 2000s, Ed became business partners with his uncle John Bunkley, a fromer consultant for Ronald Reagan, running the political polling and media firm BTV. Ed has also been a media consultant to politicians, political campaigns and several business groups. Originally from Jacksonville, Kevin Derby is the editor of Florida Daily and covers politics across Florida. A graduate of Trinity College with a masters in liberal studies from Excelsior College who studied the coming of the Civil War, Kevin worked in higher education for a decade. He also worked as a campaign aide for Sen. Orrin Hatch, in communications with the Florida Chamber of Commerce, with the Sayfie Media Group as an articles editor, for Sunshine State News where he covered Florida politics for almost a decade and as a legal and policy analyst with the Center for the Community Interest helping Mayor Rudy Giuliani’s administration on crime and quality of life issues. Kevin’s work and insights have been featured at the Drudge Report, National Review, Andrew Sullivan’s Daily Dish, Politicalwire, Taki’s Top Drawer, the American Conservative magazine and various other websites and publications. He has appeared on CSPAN and NewsMax discussing Florida politics and can be heard on radio stations across the state and nation offering insights and analysis. Mike Synan is the owner of www.newsassignmentdesk.com, the Orlando area’s most innovative source for media outlets to find news stories. 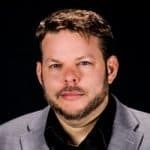 He comes to Florida Daily after six years as the Political Reporter at Fox 35, and is best known for his highly acclaimed series “Worth It or Wasted” that examined government spending from Marion County all the way to Brevard. Before television, Mike was an Edward R. Murrow award winning radio reporter at WDBO in Orlando for 13 years where he also pulled in numerous awards from the Associated Press for his coverage of Florida news and politics. Mike is married with two daughters and a proud graduate of Clemson University.